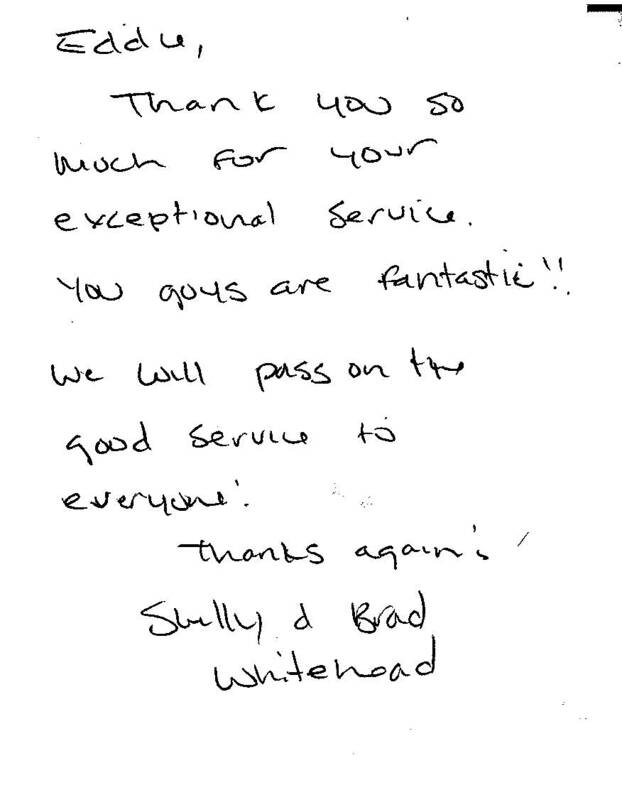 Shelly and Brad are also locals, who visit our shop for regular car care. We will pass on the good service to everyone! 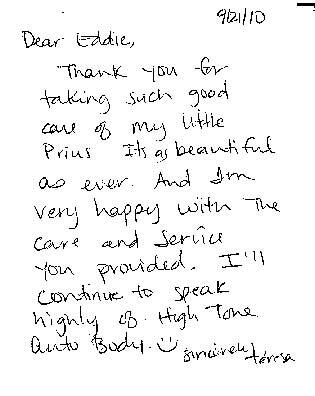 Thank you for taking such good care o fmy little Prius. Alpine Property from Aspen CO is our client for over 10 years. We helped with their vehicles from the Aspen and Snowmass Village offices, as well as many of their clients’ vehicles. 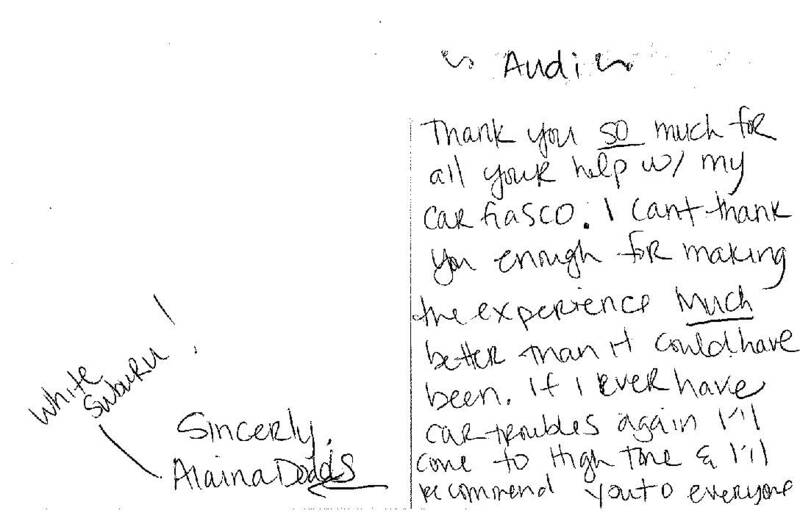 Below is the written testimonial we received via mail. Thanks, again, for another job well done. 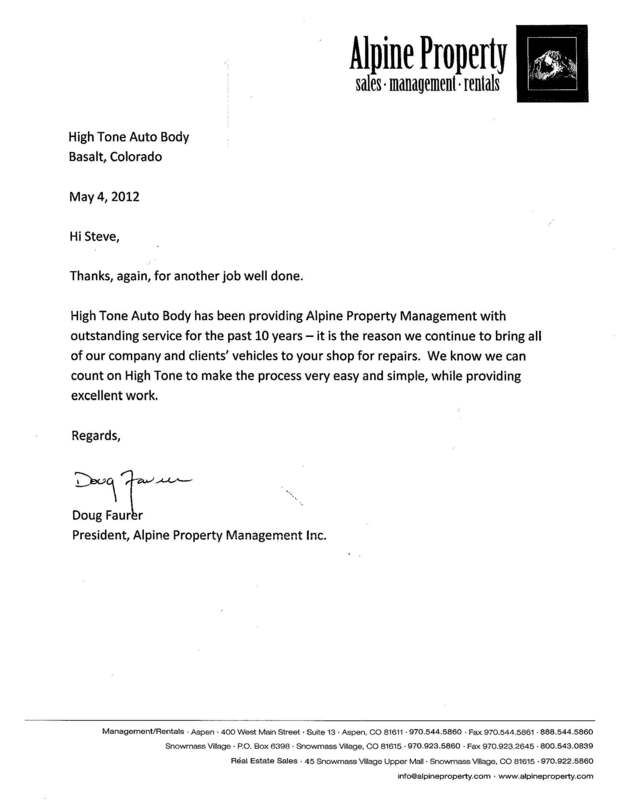 High Tone Auto Body has been providing Alpine Property Management with outstanding service for the past 10 years – it is the reason we continue to bring all of our company and clients’ vehicles to your shop for repairs. We know we can count on High Tone to make the process very easy and simple, while providing excellent work. President, Alpine Property Management Inc. Your comments and opinions are very important to us. Please take a moment to share your insights and let us know how we can be of better service to you and your friends. Upload files related to your testimonial (eg. a photo of the work done on your vehicle). Supported files: PDF, DOC, JPG, ZIP. This testimonial is truthful. I understand that it may be subject to review before being published on the site.